Bio: Pauline Hoyle is an education consultant, having previously been the Associate Director of the National STEM Learning Centre and Network in the UK and the Programme Director for Science for the National Strategies for School Improvement in England. She has over 40+ years’ experience as a teacher in NZ and England, a professional development facilitator, author, examiner, advisor and an accredited Ofsted inspector for schools in England. 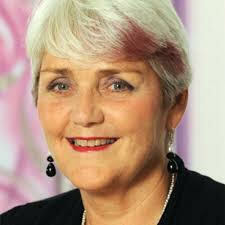 Her particular expertise is in school improvement, evaluation and effective pedagogy, particularly in STEM subjects. She has led national and European projects in STEM education, providing strategic visioning, programme management, the training of trainers of professional development, curriculum enrichment and development. She has developed strategies for monitoring and evaluating the impact of programmes on teacher development and student achievement. She was the chair of the Expert Advisory Group in Science in England and currently works on a number of European projects including the strategic body of the EU STEM Coalition Group.